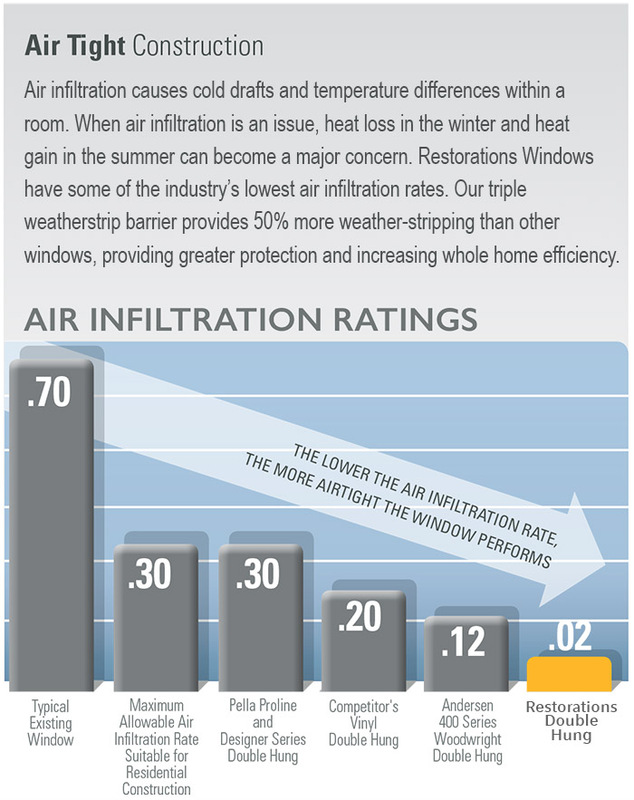 Many window manufacturers share their air infiltration rates, but what do these numbers really mean to a homeowner? Air infiltration causes drafts and temperature differences within a room, which frequently force homeowners to set the thermostat higher or lower than should be necessary to maintain the desired temperature. If a window has a high air infiltration rate, the harder an HVAC system will need to work to keep the home at a comfortable temperature. A WINDOW WITH A LOWER AIR INFILTRATION RATE TRANSLATES INTO GREATER HVAC EFFICIENCY AND GREATER COST SAVINGS TO THE HOMEOWNER. 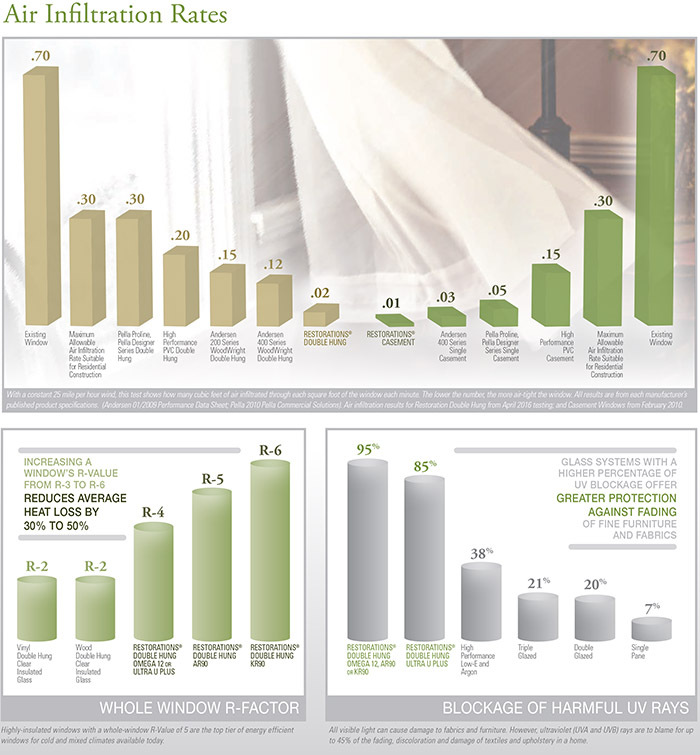 Restorations® windows are engineered to provide some of the lowest air infiltration rates in the industry, as well as some of the greatest insulation ratings (R-Factor) to insure maximum efficiency.